Get Rid of Expensive Cable! See How Easy It Is Today! With the arrival of our blazing fast Phiber internet service and as the price of Cable and Satellite Television subscriptions continues to skyrocket, many of us are looking at ways to reduce the cost of our broadcast entertainment. In this day and age, we are no longer limited by traditional mediums and can watch TV over the internet, without the need for cable or satellite. We want to simplify this process by providing some recommendations and assistance getting started with alternatives to Cable and Satellite Television. These alternatives offer lower costs, more options, customization, and higher quality content. We know that with all of these new options, it can be daunting to get started. We’re here to help, and we have some recommendations for our customers, new and old, to finally break away from their excessively expensive monthly television bills. On average, customers are paying over $150 for Cable television and that’s before taxes, fees, and equipment charges. We aim to provide a viable alternative with the services we’ve listed below in combination with our blazing fast Phiber internet service. How many channels are you subscribed to that you never watch? Well, that’s going to change. Internet broadcast platforms like the services we recommend below allow you to customize your package to bring costs down and ensure that you’re only paying for the content you watch. With the sheer multitude of options, it can be dizzying to figure out which one works best for you. By no means are the products and services we recommend the conclusive answer for those looking to cut the cord, but we can wholeheartedly recommend them to our customers for their ease of use and cost. As always, we here at LMi.net want to make sure that you feel supported and comfortable in your transition away from conventional broadcast platforms. We’re here to answer your questions, assist in your registration for services, teach you how to use the services, and ensure that you make the most of those services. Moving forward, we will focus on the Roku device platform and Sony’s Playstation Vue service. Ultimately, after testing numerous devices and services in our office as well as through personal experience by our employees and our customers, we have found that Roku coupled with Sony Playstation Vue serve as the most accessible combination while also providing the greatest availability of content at a price that we feel is more than competitive compared to traditional Cable and Satellite services. We are proud to offer installation and setup of your Roku device with your Playstation Vue account with our Phiber internet installations. This service begins after we have confirmed successful delivery of your new fiber optic internet to your premises and ensures that your Roku device/devices are configured with your Roku account and setup with your Playstation Vue account. We will also walk you through the basic menus and use of the service and devices to ensure that you feel comfortable with your new online streaming service. Our installation and setup service costs $99 and can be scheduled with your Phiber internet installation. Roku devices are one of the most popular home entertainment devices. 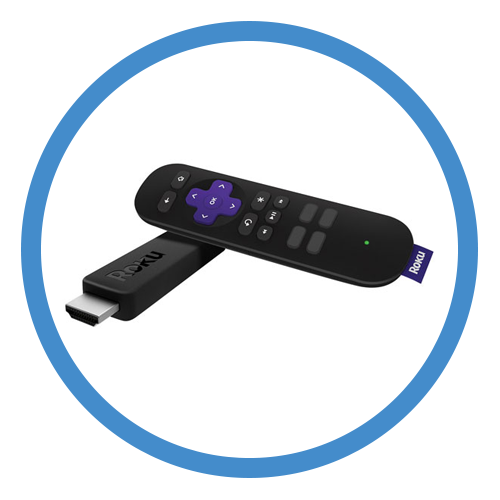 The Roku platform serves as a premier entry point into cutting the cord with its ease of use and various options. We have tested extensively with a variety of devices, and for general use we find the Roku platform to be the most accessible while offering a wide variety of options to utilize the platform. This sleek and simple device plugs directly into your TV and is perfect for those who don’t need all the bells and whistles. It streams in 1080p and connects to all of the same services. Even better, it’s available for only $39.99! 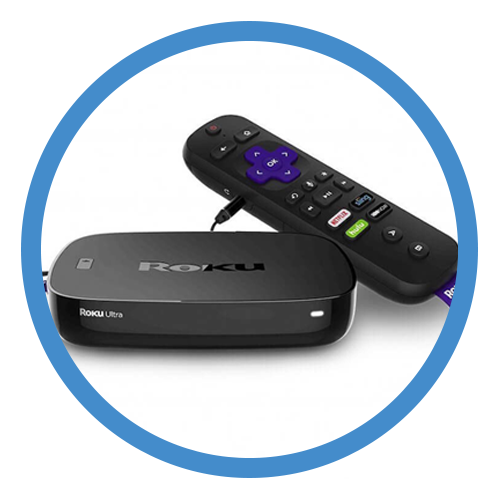 Check Out Roku's Store to Get Started Today! There are a variety of other options available to consumers to fulfill the same purpose as the Roku devices mentioned above. Some of our customers may fare better with the Apple TV if they typically utilize Apple devices. Others may prefer Amazon’s Fire Stick if they shop heavily on Amazon with Amazon Prime. Ultimately, we can only recommend what we find to be most usable for the general case. If you’d like to see more available content and media devices, check out our guide on how Phiber can enhance your internet use. There a large number of services available for our customers to find the right source of entertainment for their home You can read all about most of the available options here. We at LMi.net have selected Sony’s Playstation Vue service for their consistent quality and the wide range of available networks, including local broadcast channels as well as local sports channels for those who watch and support our Bay Area sports teams. What follows is a general overview of their service as well as some resources to get started with this incredibly viable alternative to traditional Cable and Satellite programming. Sony’s Playstation Vue service is a live streaming TV service which includes a plethora of features to improve your watching experience and customization options to ensure you only pay for what you watch. Starting at $39.99, the service will work seamlessly with your new blazing fast gigabit Phiber internet service to provide unbelievable quality. And to top it off, the combined cost of these services provides gigabit fiber optic internet, a full featured lineup of broadcast content, and a home phone line all for just over $100! Vue offers four standard packages that will enable you to pay for what you watch. On top of their packages, they provide the options for premium content such as NFL RedZone, NBC Sports, HBO, Showtime, and more! Vue offers a cloud based DVR that is available across all of your devices. These recordings can be accessed from anywhere through the cloud and ensure that you will never miss your shows. On top of all that, they also provide on demand content like traditional Cable and Satellite providers to ensure there’s always something to watch. Stream on up to five devices at the same time! You won’t need to pay each month for a separate box just to watch the programming you already pay for. You can even connect your smartphone, tablet, or computer and watch from there! It’s all included with Vue! Check Out Sony's Offical Site to Get Started! To find out more about Playstation Vue and their plethora of features, check out their Frequently Asked Questions! You can find a listing of other streaming services here. These services vary in cost and features and Playstation Vue is by no means the only viable alternative to Cable and Satellite television. The best service for you will all depend on how you watch, and if you have any questions, don’t hesitate to ask!